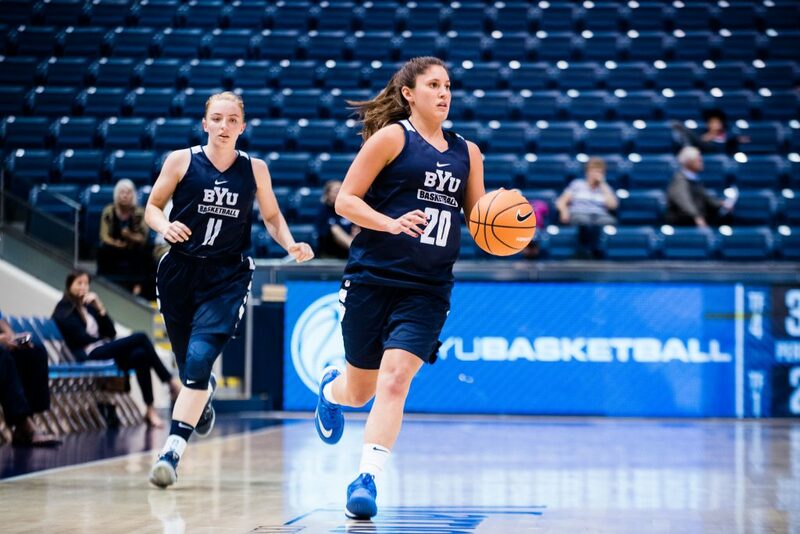 The BYU women’s basketball team held its Blue and White Scrimmage on Oct. 17. Even though the season is still a few weeks away, the players gave fans several reasons to be excited about the new year. With six freshmen and only two seniors, the words “new” and “young” accurately describe this year’s squad. Coach Jeff Judkins was quick to praise the new players, as well as share his excitement over some of the additions. Graduate transfer Malia Nawahine is one such shooter. She went a perfect 5-for-5 from the three-point line in the first half of the scrimmage. Judkins mentioned that guard Brenna Chase was a pleasant surprise in the scrimmage. She played nearly the entire game, switching teams, and running the offense on both. Freshman Sara Hamson, a 6-foot-7-inch center from Pleasant Grove High School, will take much of the interior and rebounding load, after losing star forward Kalani Purcell last year. Devashrayee said everyone competes, even if they don’t know everything about Judkins’ system. Both Judkins and Devashrayee expressed excitement over the deep roster — something that will help them in conference and tournament play. “Last year was definitely a disappointment, so we’re trying to build and improve and get to the NCAA tournament,” Devashrayee said. 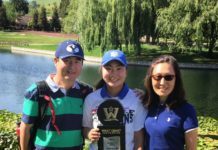 Besting their conference rivals and winning the WCC tournament will be the Cougars’ first test. If they succeed, they will come up against the best in the nation come March. 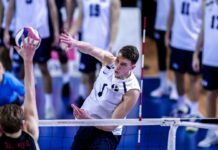 BYU looks to prove themselves early on with an exhibition game on Nov. 2 at 7 p.m. MDT in the Marriott Center against Colorado Mesa University. The Cougars start their 2017-2018 season on Nov. 10 against Southern Utah University at 7 p.m MDT, also in the Marriott Center.